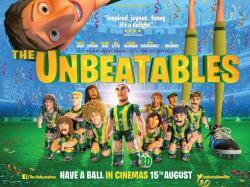 A poignant story about love, pride, friendship and passion, THE UNBEATABLES, follows the adventures of Amadeo, a shy but talented young man and his Table Football team, who magically come to life as they try to reunite after being dismantled and torn from their home. However, they soon find themselves up against their biggest obstacle – deifying the most famous soccer player in the World, Flash. Go to the link below and select the cinema you wish to attend from the list. Then select either 1 or 2 tickets. Then click the grey "Register or Login" button to finish the process and confirm everything. Be sure to be quick though, these are going super fast!